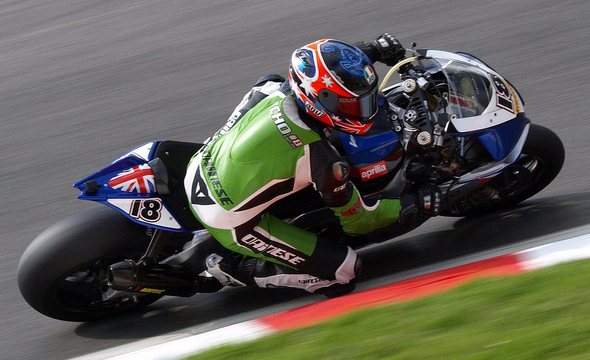 Looking towards BSB for 2013 we have an exciting season in prospect, I know that gets said every year but BSB improves year on year and with more race winners than ever contesting the series and continued manufacturer involvement it looks in as good a shape as ever. In other series, high profile manufacturers have withdrawn citing economic reasons amongst other things but BSB remains one of the few series with almost a full house of manufacturers. The big four Japanese companies plus Aprilia, Ducati and BMW all have a strong presence in British Superbikes and with Aprilia and Kawasaki receiving factory support in their chase for the crown no one can deny that, on the face of things, it’s in better shape than the World Championship counter-part and in testament to the competition level Honda, Yamaha, Suzuki, Kawasaki and BMW all made it in to the Showdown fight at the end of the season. Speaking of the Showdown and looking at the level of competition that is on offer for 2013, I’m wondering is it time to revise the now traditional top six format. The system was introduced in 2010 to prevent a repeat of Leon Camiers runaway championship season the previous year for Airwaves Yamaha, a bike that made an absolute mockery of the competition; the why’s, wherefores and how’s have been well documented so we don’t need to dip into that minefield here, that may be for another day. The one of the small observations of the Showdown is the more ‘thinking’ rather than ‘what were you thinking? !’ racing during the first nine rounds of the series, races where riders sometimes seem less inclined to go for a tight gap and risk a DNF but rather hold station and take the points and podium credits knowing that they will undoubtedly finish top six and be in with a shout come Assen in September. I’m not saying they’re not trying, not at all, take Josh Brookes’ performance at Thruxton as a prime example of 100% commitment and not to mention that these superbikes don’t work too well unless you’re actually trying, so that’s not at all what I’m saying, I’m saying that the system rewards consistency, and consistency means finishing races, however from a fans point of view the early rounds can be a little less entertaining than they possibly could be. The top four places are within reason decided by mid season when form is showing through and consistency is reaping dividends. This year four of the top six contenders were in place after the Oulton Park round in early July where we saw eventual champion Byrne in third place on 205 points, a whole 101 points ahead of Tommy Bridewell back in fifth so therefore, barring injury, places were already filled with a full three rounds to go until the Showdown rules kicked in. Injury to Byrne during free practice at Cadwell Park showed how the Showdown rules can be used to your advantage during the season in the same way Tommy Hill and John Hopkins did in 2011, Byrne missed both races at Cadwell that weekend and the following 2 races at Donington Park – that’s a potential 100 points lost (irrelevant in the Showdown I know, so that’s 12 podium credits if you want it in Showdown speak) but knowing he was safely inside the top six meant he could concentrate on recovery in time for the final three rounds. It doesn’t take a rocket scientist to work it out that in the regular season a top four contender can miss a round of the series and score no points at all but come the Showdown that points loss, in terms of podium credits, only shows as a maximum of six points lost rather than the potential 50 in ‘normal’ terms. This scenario is reversed in the final part of the season where any DNF constitutes a total points loss and usually, due to the nature of format, that’s also game over as far as championship aspirations go which in turn creates massive pressure on the riders and teams. As the Showdown intended, the series has gone to the final round in each of the three years it’s been running and provided the most exciting drama-filled racing we’ve ever witnessed in British Championship racing, well this year maybe had too much to live up to after the previous two seasons but still went to the final Sunday and this is where the Showdown wins, it guarantees the title will, barring injury or DNF, go down to the very last race of the season meaning bumper crowds at the final round in Kent. 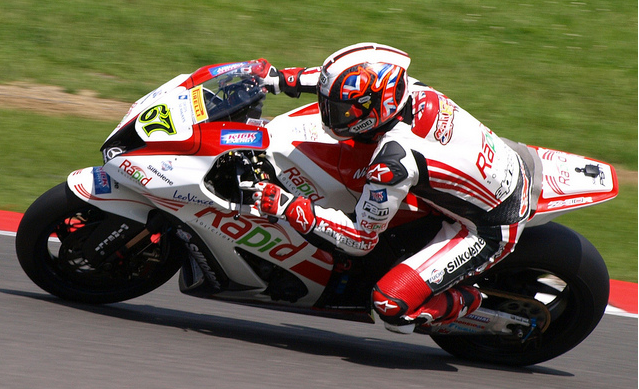 If we look at the points system in 2010, the first year the Showdown was introduced, Kiyo was deservedly crowned champion at Oulton Park as he would’ve won the title under either set of rules. The two comparisons are very close seeing the Honda star taking the crown by 20 points under the ‘old’ system and 24 under the new. 2011 was a completely different story however. Pre-showdown, Byrne lead Hill by 20 points who in turn was 49 ahead of Hopkins but after the Showdown system took over Hill won the title by two points from Hopkins with Byrne a further 20 points adrift. It was heralded as the closest race finish in the history of BSB…but under the old system things would’ve been a little different. Shane Byrne would’ve been crowned king by just five points from Hill with Hopkins 40 points further back. 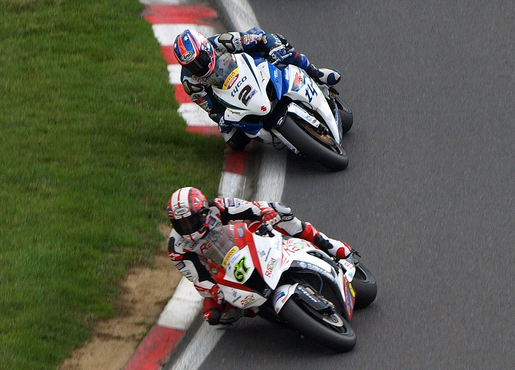 with conventional points, Brookes would have won. Back to the point in hand though, this coming year I believe is the first time we can look at the format and think ‘do we really need it now?’ The strength and depth of the field and the Evo rules mean the playing field is more level than ever before, the focus is more about the rider than the electronics package. It’s down to the riders and their skill in getting a bike set up right and muscled around a track and the championship would maybe look better if it reflected that in so much as there are a minimum ten potential race winners on track in 2013 and no one manufacturer having a clear advantage over another such was the case in 2009. Don’t get me wrong, a lot of fans love the idea as it creates a fantastic spectacle of the last three rounds and creates an intensity not easily replicated during a standard season but somehow it seems the other nine rounds are just a precursor to the main event, if it were a full season then EVERY round would count and EVERY pass and point scored would count just as in MotoGP who themselves are trying to produce a level playing field just as BSB has done. There is one major flaw in the format for the Showdown, the guys finishing in the ‘minor places’ of fifth and sixth are in most cases 150 points shy of the top two – that’s six wins without reply – Alex Lowes and Tommy Bridewell finished in those positions in 2012 and hadn’t a had win between them, but this comes back to consistency – they deserved to be in those positions because of that very consistency, absolutely they did, Bridewell especially with no ride at all until 4 days before the season started, but overall did they deserve a go at the title? Probably not, but that wouldn’t preclude them from mixing it up over the last three rounds, Showdown or no Showdown, Lowes’ double win at Silverstone would still have happened regardless of the format because he’s a fast and hungry young rider who deserved all credit on the day. I won’t be unhappy if the Showdown remains, not at all, it gives the organisers and fans exactly what they want and that’s entertainment, having said that, if the ‘old’ ways came back I’d be equally as happy. I think the Championship organisers have now introduced a set of rules that lends itself to that level of competition again and if that happens people will be 100% interested from round one of British Superbikes, not just round nine but either way exciting racing is all but guaranteed and that’s exactly what we want.